Paddington has a Dickensian Christmas. Demon and soon some developers are trying to get the owner to sell. Dad encourages Dexter to become the king of snow, as he was in his early days, until someone beat him. 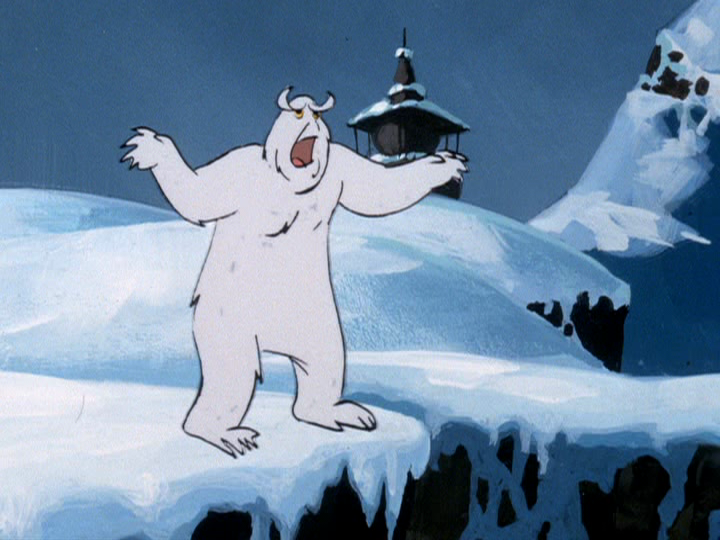 While taking a ski vacation, Scooby and the gang find themselves in the middle of suspicious activity in the form of a Yeti-resembling monster. It's the Christmas season in LazyTown and everyone's getting ready for a holiday party. Robbie Rotten soon spots this, but declares that he wouldn't go even if he was invited. He hatches a plan to dress up as Santa Claus and spoil everyone's holiday fun. 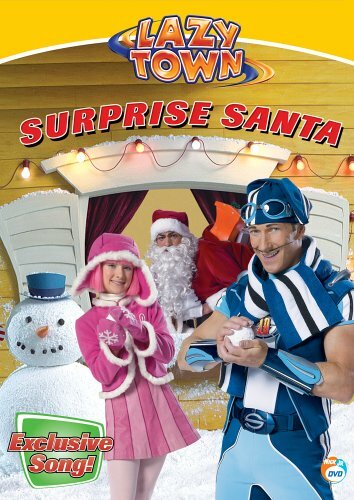 It's the holiday season in LazyTown! The kids are very excited to receive presents from Santa Claus, but to everyone's surprise, Santa shows up empty handed. 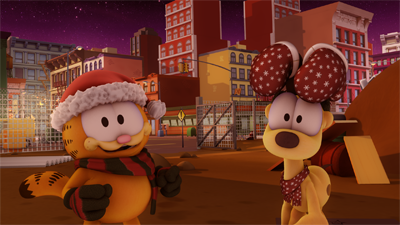 Where did the presents go and will they be able to get them back? The Bananas get into big trouble when they try to help decorate the Cuddlestown Christmas Tree. Join Amy and her friends on a magical adventure as she finds a magical entrance to an enchanted world where toys come to life but can Amy and the Nutcracker beat the Mouse King? 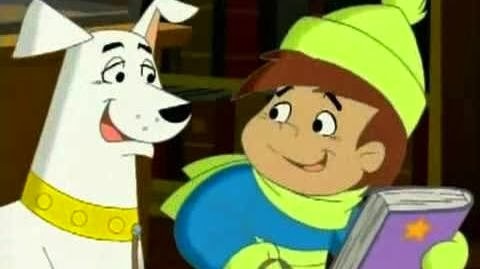 Kevin learns a lesson about the importance of family when he and Krypto are magically transported to Storybook Land, where the characters resemble Kevin's relatives. Ho, Ho Horrors: When Mrs. Two-Shoes goes to bed on Christmas Eve, Tom lies in his basket and dreams of chasing after Jerry and eating him. 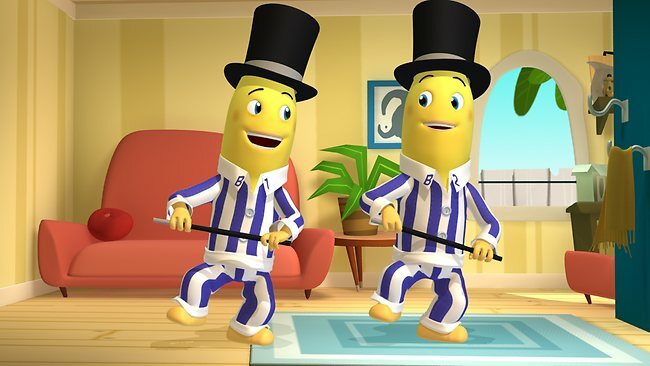 Jerry, not liking this, enters the dream and turns it into a nightmare. Doggone Hill Hog: Tom and Jerry are chasing one another in the snow. Spike is sledding down a nearby hill, and crashes into them. He does this repeatedly, thinking it funny. He bullies the two relentlessly as he guffaws at their pain. Tom and Jerry soon get Spike back, but all three wind up with broken arms and legs. 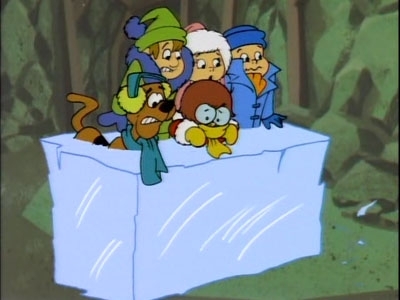 To show them no hard feelings, Spike gives the boys a Christmas present: a sled. Northern Light Fish Fight: In the Arctic wastes, Tom is a fisherman with nothing to show for it but a bunch of holes in the ice and a very cold worm. When Jerry has beginner's luck and catches a fat fish, Tom tries to steal it. After an extended battle, complete with orchestral accompaniment, Jerry agrees to share his fish with the starving cat—but a polar bear gets to it first. Disgusted, the boys eat their forks. Garfield is looking forward to the holidays and all of its joys, but Arlene gives him a reason to stop and remember the true meaning of the season, so Garfield decides to help some homeless cats and dogs by helping to find homes for them. 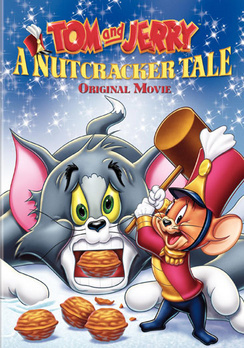 Based on an original idea by creator, Joe Barbera, Tom and Jerry find themselves in a fantastic wonderland brought to life by holiday magic and set to the music of Tchaikovsky's "The Nutcracker". In an empty opera house, Jerry wishes for his chance to perform and magically his dream comes true. The little mouse is whisked away to an enchanted kingdom where anything is possible... candy forests, singing snowflakes, even the toys spring to life! Unfortunately, a group of alley cats led by Tom, crash Jerry's party, kidnap the music box ballerina, and wreak havoc in the holiday kingdom. It's up to Jerry to set things right and send those mean old cats back to the alley where they belong. It is Christmas Eve in Orbit City, and the Jetsons are planning to celebrate it the only way they can — as a family. 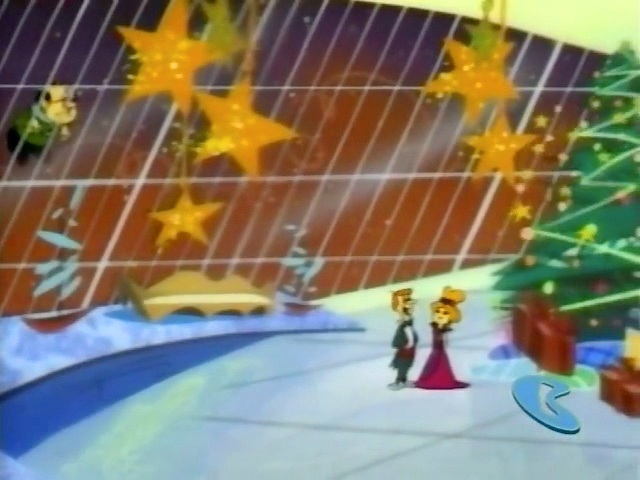 However, George and the other employees of Spacely Space Sprockets are hounded by the intergalactic Scrooge of the company, Mr. Spacely, who detests the holiday season so much that he forces George to work overtime and head home late that night. So They're not airing The Pink Panther: A Very Pink Christmas again this year? I guess it's not dubbed in Russian yet. @RNDH1987, You're right about it. But I believe, that they give in December 2014 Tiny Toons Special. Oh, and i see no Tiny Toons special listed as well. Funny cause we have that airing in the UK, but not the show (again).